Villa Cavrois is a modern house by Robert Mallet-Stevens for wealthy industrialist Paul Cavrois in northern France. 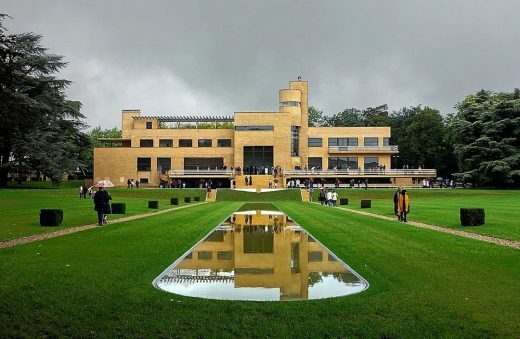 The 1932 “modern castle” was a home ahead of its time thanks to the pioneering vision of Mallet-Stevens, a great rival of Le Corbusier in the early years of the 20th century. Robert was a 20th Century French architect. He was also a Modernist, designing buildings using the clean lines established by the International Style architects such as Walter Gropius, then later developed by Le Corbuiser and Mies van der Rohe.